The packaging of tremendous amounts of genetic information into the small volume of a cell has been called the ultimate storage problem. Consider the chromosome of the bacterium E. coli, a single molecule of DNA with approximately 4.64 million base pairs. 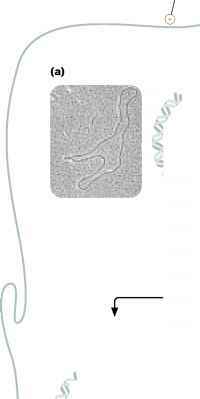 Stretched out straight, this DNA would be about 1000 times as long as the cell within which it resides ( FIGURE 11.1). Human cells contain 6 billion base pairs of DNA, which would measure some 1.8 meters stretched end to end. Even DNA in the smallest human chromosome would stretch 14,000 times the length of the nucleus. Clearly, DNA molecules must be tightly packed to fit into such small spaces. The structure of DNA can be considered at three hierarchical levels: the primary structure of DNA is its nucleotide sequence; the secondary structure is the double-stranded helix; and the tertiary structure refers to higherorder folding that allows DNA to be packed into the confined space of a cell. Chromosomal DNA exists in the form of very long molecules, which must be tightly packed to fit into the small confines of a cell. One type of DNA tertiary structure is supercoiling, which occurs when the DNA helix is subjected to strain by being overwound or underwound. The lowest energy state for B-DNA is when it has approximately 10 bp per turn of its helix. In this relaxed state, a stretch of 100 bp of DNA would assume about 10 complete turns. 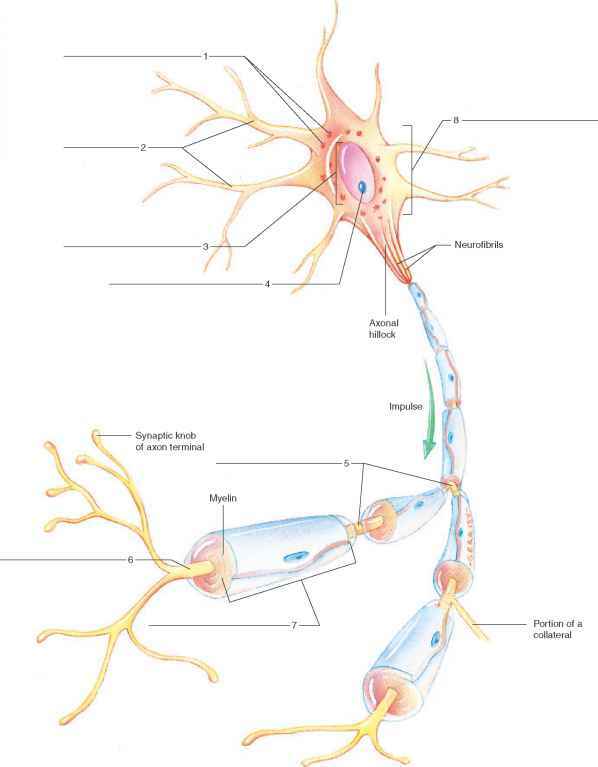 ( FIGURE 11.2a). If energy is used to add or remove any turns by rotating one strand around the other, strain is placed on the molecule, causing the helix to supercoil, or twist, on itself ( FIGURE 11.2b and c). 11.1 (overleaf, encircling pp. 4-5) The DNA in E. coli is about 1000 times as long as the cell itself. 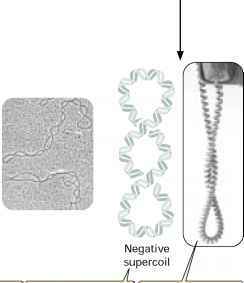 Negative supercoiling occurs when DNA is underrotated; the helix twists on itself in the opposite direction. If you turn the receiver in the way opposite to how it's coiled when you hang up, you induce a negative supercoil in the cord. Positive supercoiling occurs when DNA is overrotated; the helix twists on itself. molecule is placed under strain. Molecules that are overro-tated exhibit positive supercoiling (see Figure 11.2b). Underrotated molecules exhibit negative supercoiling (see Figure 11.2c), in which the direction of the supercoil is opposite that of the right-handed coil of the DNA helix. Supercoiling occurs only if the two polynucleotide strands of the DNA double helix are unable to rotate about each other freely. If the chains can turn freely, their ends will simply turn as extra rotations are added or removed, and the molecule will spontaneously revert to the relaxed state. Supercoiling takes place when the strain of overrotating or underrotating cannot be compensated by the turning of the ends of the double helix, which is the case if the DNA is cir-cular—that is, there are no free ends. Some viral chromosomes are in the form of simple circles and readily undergo supercoiling. Large molecules of bacterial DNA are typically a series of large loops, the ends of which are held together by proteins. Eukaryotic DNA is normally linear but also tends to fold into loops stabilized by proteins. In these chromosomes, the anchoring proteins prevent free rotation of the ends of the DNA; so supercoiling does take place. Supercoiling relies on topoisomerases, enzymes that add or remove rotations from the DNA helix by temporarily breaking the nucleotide strands, rotating the ends around each other, and then rejoining the broken ends. The two classes of topoisomerases are: type I, which breaks only one of the nucleotide strands and reduces supercoiling by removing rotations; and type II, which adds or removes rotations by breaking both nucleotide strands. Most DNA found in cells is negatively supercoiled, which has two advantages for the cell. First, supercoiling makes the separation of the two strands of DNA easier during replication and transcription. Negatively supercoiled DNA is under-rotated; so separation of the two strands during replication and transcription is more rapid and requires less energy. Second, supercoiled DNA can be packed into a smaller space because it occupies less volume than relaxed DNA. Overrotation or underrotation of a DNA double helix places strain on the molecule, causing it to supercoil. Supercoiling is controlled by topoisomerase enzymes. Most cellular DNA is negatively supercoiled, which eases the separation of nucleotide strands during replication and transcription and allows DNA to be packed into small spaces.